Tony Stratton is a third generation steeplejack and president of Inspired Heights, Inc - a steeplejack company that specializes in the high work associated with churches and church steeples. As a steeplejack contractor we can offer affordable, less intrusive, solutions for your church and steeple restoration projects. 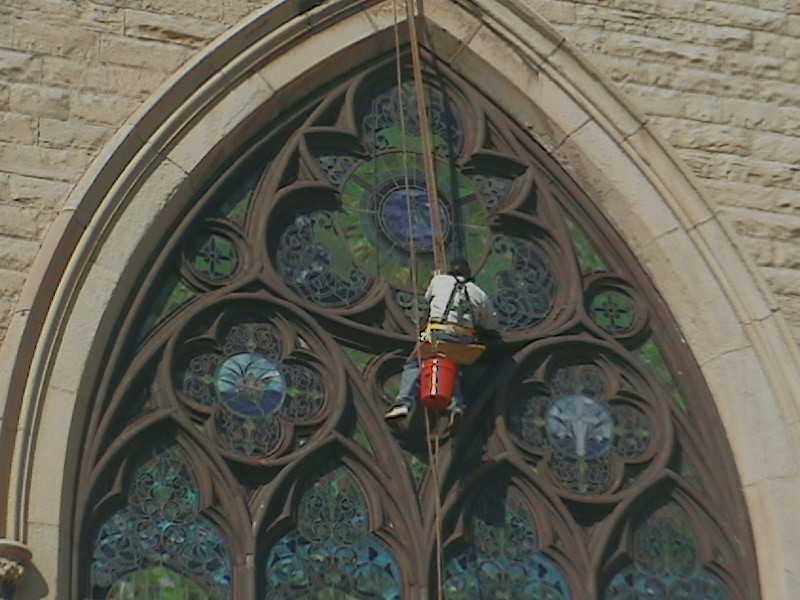 The comprehensive steeplejack services Inspired Heights perform on church steeples include steeple painting and steeple restoration. 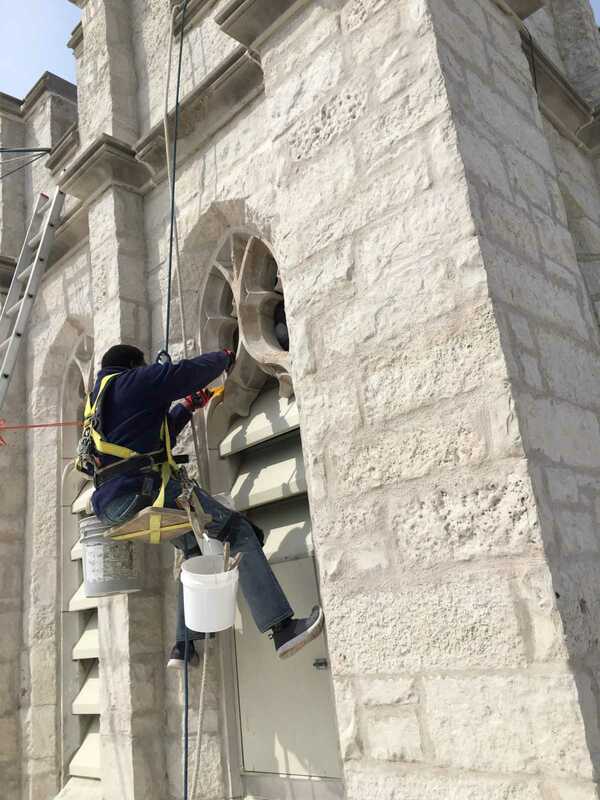 However, in addition to steeples, our steeplejack services can be used for affordable solutions to the high work often associated with interior and exterior church restoration. These techniques can be used on high sanctuary / nave walls and ceilings, difficult church windows, gables, columns and soffits. Church steeples are a focal point of many churches, a witness to the neighborhood and an architectural design intended to lift one’s eye’s upwards, as towards heaven. Nonetheless, steeples are often neglected due to its precarious location and therefore these engineered treasures fall into disarray and do not receive the steeple repairs they require. Church steeples, spires, towers and finials have dotted the skyline for centuries and yet steeple repairs still perplex countless churches and confounds many contractors, perhaps now more than ever. The basis of this turmoil is the inaccessibility of the steeple coupled with a dwindling number of artisans who can perform the unique work of church steeple repair and restoration. The compound word steeple-jack is comprised of the two words steeple and jack. Steeple clearly defining the location and jack, often meaning a man, laborer or a sailor. Though the first known use of the word steeplejack dates back to 1852 the techniques are centuries old. It is believed that the sailors of the tall sailing ships are the original steeplejacks. They would come to port and during their time ashore they would use their rigging skills to climb and repair church steeples. While over the centuries many of the tools and safety apparatuses of the steeplejack may have changed, the basic technique still remains the same. A bosun’s chair suspended from a block and tackle pulley system allows the steeplejack complete access to the church steeple. Sometimes the steeplejack would strap ladders or install a temporary “crow’s nest” to act as a work platform. However, the steeplejack needs to be more than a master rigger. 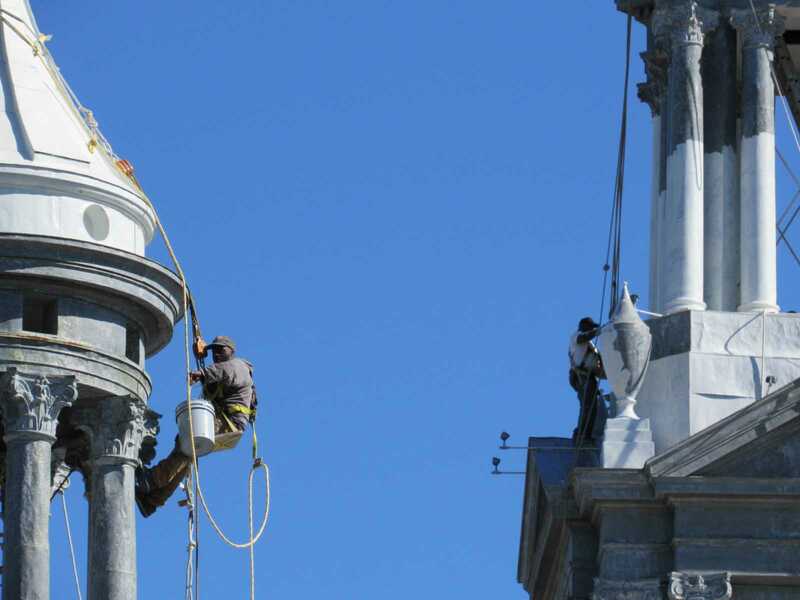 To provide the numerous steeplejack services labeled as steeple repairs the steeplejack has to be a steeple roofer, experienced in several types of steeple roofs (repair and installation). The steeplejack would need to be a steeple painter, proficient in various paints and coatings used in steeple painting. They must be familiar with the various steeple repair techniques needed for steeple restoration, proficient in carpentry, tuck pointing, and sheet metal work to facilitate the steeple restoration needs of the many styles of church steeples. For centuries the work of church steeple repair, painting and roofing was performed by steeplejacks; a master rigger who’s unique training gave them complete access to even the tallest of steeples. 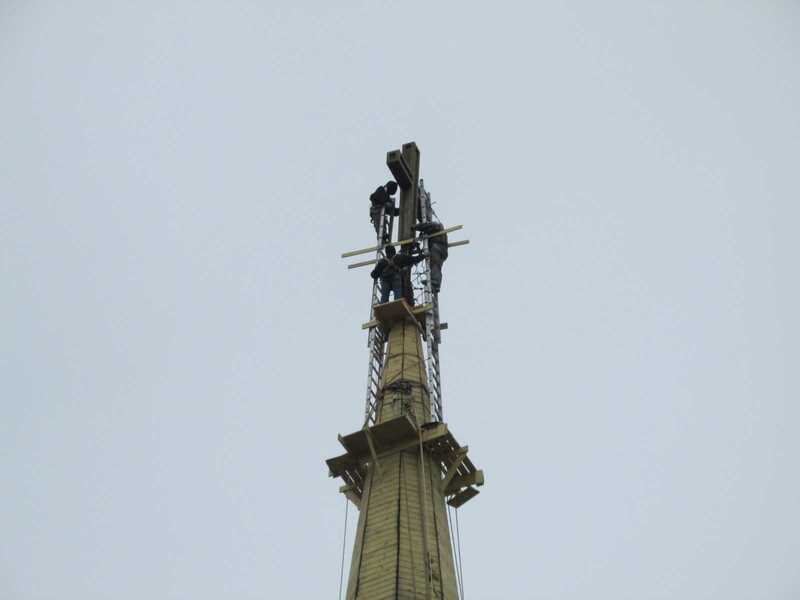 There are only a few genuine steeplejacks today but the steeplejack’s methods are still used under carefully adhered to OSHA regulations and can often save the church hundreds of thousands of dollars on their church and steeple restoration project. Yet, this is not the only benefit the steeplejack has over the high work alternatives (expensive cranes and scaffolds). The steeplejack is able to offer an up close approach that other tradesmen could never duplicate, permitting the steeplejack to provide superior steeple repairs at a fraction of the price! Many professing "steeplejack contractor"s attempting modern approaches to church steeple repair would use scaffolding and cranes. These techniques are typically more intrusive and much more costly than the methods of the traditional steeplejack contractor. In addition the true steeplejack can offer a “hands on” approach to church steeple repair that the common contractor could never touch.